Set in the heart of the Sussex countryside, East Sussex National boasts two outstanding courses that were designed with major championship golf in mind. The resort has hosted two European Opens on the European Tour and played host to some of the world's leading players including Nick Faldo, Ernie Els and Colin Montgomerie. Both the East and the West courses have hosted professional play, showing just how good this 26-hole layout really is. Located just 40 minutes from Brighton, the hotel benefits from beautiful views of the South Downs, whilst offering the best in modern facilities. A spacious hotel set over three levels, the East Sussex National Resort also offers an exceptional level of service during your stay, ensuring a relaxing stay during your golf break, with the Horsted Spa being one of the best in the area. Book a Last Minute Deal at East Sussex National now from £149.00pp! 20% off drinks for groups of 12 or more! The East Course was designed to test the talent of the world's finest golfers, and measuring 7,138 yards from the gold tees, is a formidable test. The host course for many a top level event, including the 1993 and 1994 European Opens, as well as five European Challenge Tour events and four PGA European Tour qualifying schools between 1994 and 1997, the East has clearly fulfilled its purpose as well as thrilling the club golfer looking to take on a thoroughbred tournament test. However long and challenging this might be from the Gold Tees, it is not out of reach for the handicap golfer. A number of other tee positions allow for golfers of varying ability to test their game on the East Course, with blue tees being laid out close to but in front of the golds, as well as white tees which offer a much more manageable game of golf to the higher handicapper. The East Course also offers a set of Red tees which shorten the course to 5,294 yards and the ladies can also take on the tournament experience too, with a designated SSS of 75 applied to them by the LGU while playing from the further back white tees. Fairly open from the tee, the East Course allows golfers to have some fun with the driver, while sublime putting surfaces and perfectly maintained bunkers and fairways tick all of the boxes in terms of the course’s conditioning. The real challenge on the East Course comes in the form of the approach shot thanks to well protected greens which feature huge undulations and steps in places, making precise approach play an important facet of the game. Get out of position around the greens and saving par will certainly not be a walk in the park. Be sure to conserve some energy too, for the East Course boasts one of the best and certainly most demanding closing stretches of holes in the country. Picturesque yet perilous, the 17th on the East Course is a cracker of a par 4, measuring no less than 450 yards from the tips. Water runs up the left then cuts across the fairway, meaning the golfer must lay back far enough from the tee so not to risk their ball ending up in a watery grave. Once in the fairway, it is perhaps best to take an extra club when hitting your approach as the green is slightly elevated and is protected by a steep run off at the front. This leads down to the creek which has made it way over to the right of the hole. The West Course was once the private playground for club members but thankfully it's now open for play to all comers. Often regarded as the more scenic and intimate of the two courses, the West is just as tough a nut to crack as its better known sibling. Tighter from the tee and more undulating, the West has bundles of character and although being surprisingly longer than the East Course, is doesn't really play as such and, as on the East, there are tees to suit varying standards of golfer. It's no easy task to pick the signature hole on the West Course at East Sussex National. The 1st, with a green below the level of the fairway gets you off to a flyer and the par 4 10th boasts a daunting yet spectacular approach. The par 5 12th however, is probably the most memorable. Horsted Creek runs along the entire length of the hole and comes more and more into play the closer you get to the green. The longest of hitters may choose to go for the green in two but laying up is the prudent play, with huge American style mounds to the left of the green and water lurking front and right. You can't switch off for a minute on this technical long hole, with birdie and double-bogey being an equally likely score, subject to the quality of your shots! The Academy, at East Sussex National Golf Resort & Spa, boasts excellent practice facilities. The driving range boasts both artificial and real turf hitting areas which allow for practice throughout the year and there is ample space to practice your short game. Pitching and chipping areas, three putting greens and a championship standard three-hole academy course complete the package and allow for exhaustive practice should the need to sharpen your game arise. The East Sussex National Clubhouse boasts both indoor and outdoor seating and is a great place to enjoy a bite to eat or indeed a few well deserved drinks before or after your game. Live sports are shown on screens around the bar and in the changing facilities there are ample lockers, power showers and even a sauna; perfect for loosening up any sore muscles after a long day on the course. A locker room attendant will supply you with fresh towels. The east Sussex National pro shop is supremley well stocked and will service all of your golfing needs, with friendly and professional staff members on hand to offer any advice you may need. Both golf courses at East Sussex National are a tough walk so a buggy comes recommended. Throughout most of the year, the club employs a "90 Degree Rule", where players are asked to keep to the carth paths until reaching their ball where they can then move onto the course on the buggy, minimising the damage caused by the vehicles while allowing golfers to complete their rounds easily and in good time. Halfway houses allow golfers to stock up on drinks and food at the midway point in their rounds so there's no need to overload before teeing off. The club also employs a bag drop service which allows golfers to leave their clubs at the clubhouse entrance before checking in for their tee time. Your clubs will then be brought down to the course level, ready and waiting for you to warm up or tee off, whether your on a buggy or not. After your round, you can then simply leave your clubs with the caddy masters, who will have them ready for your tee time the following day. A complimentary club cleaning service also ensures you will leave East Sussex National with your clubs looking as good as new. East Sussex National Golf Resort and Spa boasts 104 spacious rooms and is perched beautifully above the two championship golf courses. The hotel has been a fantastic addition to a world-renowned golf destination. The rooms feature walk-in showers and wall-mounted TV's, whilst the dining and leisure facilities only enhance the quality of the resort. The terrific facilities and unrivalled customer service have helped East Sussex National to quickly become one of the premier destinations for a golf break in the South East. The Horsted Spa has tremendous purpose-built treatment rooms, offering the best in health and beauty therapy, notably the ESPA body treatments, facials and massages. The leisure club features the most technologically advanced gymnasium, supplied by Technogym, while the aerobics studios are home to scheduled pilates, yoga and spinning classes. The complex is also equipped with a swimming pool, sauna and a eucalyptus essence steam room. The hotel was fantastic. The staff were immense, they couldn`t do enough to help. The food and accomodation were 1st class also. Great rooms, really good staff dealing with 12 blokes on a Bday weekend. Excellent. Everything was great with the exception of the evening meal. The choice was very limited and we would have happily paid a little more to increase the options. Rachael who served us was amazingly patient and her charm and professional service was outstanding. Everything else was superb. The staff at East Sussex National were very helpful and friendly. Room was spacious and hotel was immaculately clean in all areas. Food in the restaurant was excellent. Thought the club rooms were good, the food better than expected. Bar prices were OTT. Thanks for your email and offer of a discount on our next booking with you. As far as I am aware everyone enjoyed both courses at East Sussex National. We played the West Course first in good weather and the course was in good condition with the greens being particularly testing. On Friday we played the East course but in constant rain/drizzle so this made course more difficult. Some areas of the course were wet but overall taking into account the conditions the course stood up well. It is fair to say looking at our scores (10 to 26 handicaps) both courses were a good test but were enjoyable for everyone nonetheless. The deal that was available was unbeatable and on top of that particularly the evening meal but also the breakfast were very tasty. The staff, whether in the restaurant, bar or in the pro shop, looked after us really well. Our rooms were spacious, clean and tidy. Overall I would give the whole break 9 out of 10 and would recommend East Sussex as well as Your Golf Travel to all my friends. Both golf courses at East Sussex National were in excellent condition and provided a very fair test of golf for all abilities. The bar prices were a little on the high side but we had no complaints at all with the hotel staff or the facilities. I would also like to make a special mention of the on course staff as they were exceptional. The starters were very friendly and helpful and having your clubs cleaned and looked after each night was an excellent extra touch. Overall I would rate East Sussex National 9.5/10. As always, Your Golf Travel’s service was excellent and I would recommend it to other golfers. 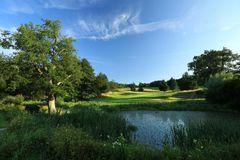 The East Sussex National resort made for a perfect weekend break, with two accessible (but challenging) courses offering a good amount of variety for the improving & more experienced golfer. Both were in great condition too. The facilities at the resort exceeded expectations, with the accommodation being spacious, and a health spa offering the choice of pool/sauna/steam for a welcome way of unwinding after 18 holes. The package was found to be very good value by all, with a host of inclusions at a very competitive price. Both myself and partner would recommend East Sussex National & YGT to friends. East Sussex National proved an excellent choice for a golf break. The reception on arrival was one of the most friendly we have ever encountered and this was the case for all the staff we met throughout the resort. They all appeared to be really pleased to see us and gave helpful advice when asked, going out of their way to get the information requested. The caddy master and golf staff also gave an excellent service and it was great to have our clubs retained in the store and returned cleaned the next day. The two golf courses were in excellent condition with well maintained greens and we enjoyed playing both courses. Neither was over-crowded, allowing most enjoyable holiday golf. The guestrooms in the hotel were a really good size, were very clean and had good facilities. Breakfast in the restaurant was excellent. It was disappointing to have the same meats on the carvery on two consecutive nights, particularly with an allergy to one, but an alternative was offered when this was mentioned. Good service once again. In summary an excellent break, good value and extremely efficient admin and advice from YGT. We played both the East and West courses at East Sussex National and found them to be in excellent condition. Both courses were quite long (especially the East course) and challenging so choose your tees wisely. We preferred the more picturesque, tree lined layout of the West course over the East but both are excellent tests of golf. The course Marshalls are very helpful and try to make sure that groups play at a good pace which makes for a great experience. The inside of the clubhouse was a little bland, but the outdoor terraces were lovely and we were lucky enough to have warm sunny weather in which to enjoy them. There was a wide choice of bar meals and sandwiches which were very tasty and reasonably priced. The Pro shop was excellent with good selections of clubs, bags, clothing and gadgetry on offer. The caddy master facilities were also very good. Our clubs were taken care of overnight and were cleaned and delivered ready for the next day’s golf which we all thought was an excellent touch. We loved the hotel too. It was spacious and modern with a large bar area, the reception staff on our arrival were really helpful and the restaurant staff were also very keen to make sure everything was to our liking. The menu in the restaurant was quite limited – a choice of 3 starters, 3 mains and 3 desserts only – but we had no trouble finding something appealing and all the food was delicious, including one of the largest helpings of cheese, crackers, chutney and grapes I have ever had! We upgraded to a club room which gave us a beautiful view from our balcony of the golf course and Sussex hills beyond. The room was very spacious, as was the bathroom with separate bath and shower cubicle and the bed was extremely comfortable. Breakfast was delicious with everything you could wish for including some fantastic field mushrooms. We had a brilliant stay in all respects and would definitely return and would not hesitate to recommend to others. We would score it as a solid 9 out of 10 and once again we received great service from Yourgolftravel. We thoroughly enjoyed our stay at the East Sussex National resort. The accommodation was excellent as were the golf courses and all staff members were very obliging. Nothing was too much trouble. Offloading the golf clubs on arrival was another plus as it meant the Ladies only had to take their batteries back to their rooms to charge them. The Ladies agreed they could quite happily return to East Sussex National another day. We had a great time at East Sussex National last week. The golf courses are lovely to look at, in good condition and have challenging greens which keep you on your toes. All members of the golf team were so friendly and keen to make sure we had a good time and of course there was the bonus of having our clubs cleaned after each round and stored overnight...altogether a very special experience. The overnight stay was excellent too, with lovely food in the hotel. We would definitely like to have another golf break at East Sussex National and would recommend others do the same. Thanks to YGT once again for your friendly and professional help...we always recommend Your Golf Travel to anyone who asks. We were a party of four golfers who played both the East and the West course on a golf break to east Sussex National. Both golf courses offer up a terrific challenge. We played off of the gold tees (back) and our high handicappers played from the whites (forward) and we all agreed that the courses gave us some very enjoyable and swashbuckling golf. It is clear that when it was built in 1990, no expense was spared in laying down the golf courses. They are both very well routed and the scale of the holes is staggeringly good. There is something for everyone here. Undulating greens, water hazards, tree lined fairways, picture perfect par threes, demanding par fours, strategic decisions to be made, barn storming Par 5s all complemented by lush fairways, flat tee boxes and well cared for greens. Cut through mature forest, most of the shots have a degree of pressure which is great fun. In terms of the golf alone, this place comes highly recommended from me from now on! The off course facilities do not disappoint either. From the bar to the restaurants and into the guestrooms, everything is really nice. The spa is a welcome treat too. This resort offers tremendous value for money whichever way you look at it. We will be back for more soon. One tip though...take a buggy if you can. It’s a long, tough walk otherwise and they are not overly expensive. Just back from a fantastic trip to East Sussex National and we got a great deal through YGT who made sure we got the best price available and arranged all tee times / rooms to our convenience. East Sussex National is a top notch hotel with great rooms, good food, reasonable drinks prices, on-site spa/pool and excellent service (particularly from the golf staff). The facilities were great too. There’s a decently stocked pro shop, good short game areas, practice greens and a full length driving range. We played on both courses and the West is an absolute gem of a course which has got to stand up there with the very best in the UK. I would definitely recommend East Sussex National for an amazing golf break and of course will be booking with YGT again in the future. Just to thank Your Golf Travel for arranging our trip to the East Sussex National Golf Resort & Spa which was absolutely terrific! We thoroughly enjoyed both courses; the greens are great and very interesting! The club house staff could not have been more helpful and we have already recommended the venue to several of our friends. We look forward to the opportunity go there again. And thank you to Your Golf Travel for a very professional service. My golfing buddies and I have been on many golf breaks and while they are always good fun we have yet to come across a venue that has really blown our socks off! However after having Your Golf Travel recommended by a friend we were pointed in the direction of the East Sussex National Golf Resort & Spa and we thought it was a different class! The East Course was a really tough but enjoyable test and it was in perfect condition from start to finish. The West Course was a bit tighter from the tee so was more of a thinking man’s golf course. It presented a different challenge to the East which was good for the golf break as a whole. We understand that both courses were designed by an employee of Jack Nicklaus’ course design so it comes as no surprise that both of the golf courses were maintained to the highest standard and both had really interesting layouts. The hotel was fantastic as well and the level of service was out of this world...like nothing we had seen before! The facilities including the spa were excellent and so was the quality of the food. The views of the South Downs from all over the resort were the perfect backdrop to our top class golf break. I just wanted to say thank you for recommending the trip to the East Sussex National from where I have just returned. The courses were very good, we particularly enjoyed the West which we played twice. The hotel, food and staff were all first class. I would certainly recommend the venue to anybody. My thanks again, back to you in the New Year no doubt. A wonderful course to play. One of the best we have played on. Not much more i can actually really add to that. Being average golfers, we found the East Course a bit demanding. Our scores were average too. But we did have an amazing time. Nice course, muddy in places as expected for this time of year. Mostly off fairways though which was great. The greens had obviously recently been hollow tinned hence low mark for green condition. I have played this course in August and it is usually in fantastic condition. Great course we all really enjoyed playing it greens were very quick and for time of year in super condition. I really enjoyed playing the East Course, but, I don't hit the ball very far. My partner hits the ball a country mile so had a few lost balls and there are some blind spots, but we both really enjoyed it, very quick greens. Great course, very interesting, every hole is different in its own way. Greens were very fast. Really enjoyable to play. General layout good, some very good holes.Greens not quite as good as the East. Layout good, greens good but tricky.